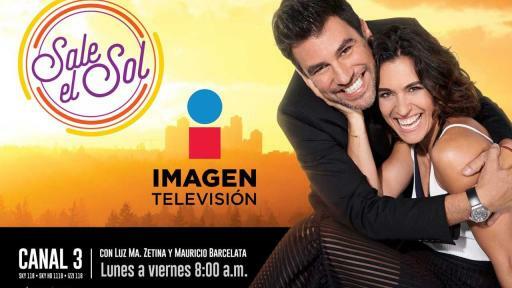 Imagen Televisión, the new Mexican broadcast television network that is launching on Monday, October 17, revealed details of its programming today. The strategic vision for this innovative proposal comes from Olegario Vázquez Aldir, CEO of Grupo Empresarial Ángeles, which offers audiences competitive products at the national and international levels. 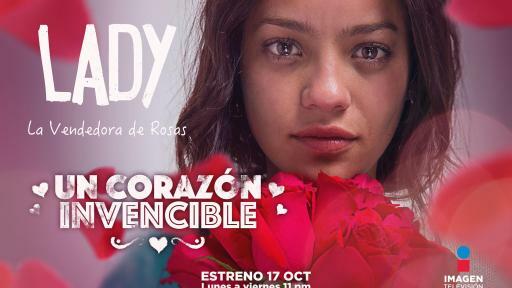 The network’s content includes a significant component of Mexican-made original productions and hit shows from around the world. The fiction, news, entertainment and sports genres will be the main pillars of the network’s content strategy. Starring Gabriela de la Garza, Mario Cimarro and Rubén Zamora, Imagen Televisión’s first original series, produced with Argos, was shot in Mexico with the highest production standards. Vuelve Temprano tells the story of Clara and Santiago, a couple that seems to have the perfect life until everything comes crashing down and they realize they know much less about their own children than they ever would have believed. Full of suspense and intrigue, this gripping narrative explores the fragility of today’s families and raises the profound and terrifying question: at any given moment, do you really know where your children are? 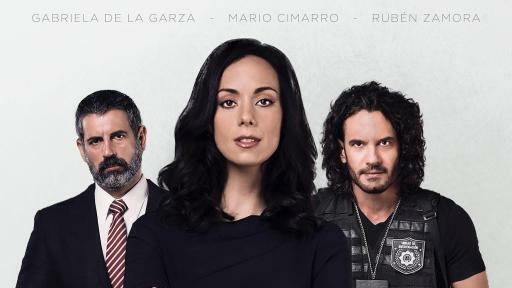 The stellar supporting cast for this series includes Carlos Ferro, Francisco de la O, Sharis Cid, Sara Corrales, Alejandra Ambrosi, Cristina Rodlo, Alejandro Durán, Alejandro Caso, Daniel Barona, Julia Urbini, Sophie Gómez, Adriana Leal, Adriana Lumina, Palmeira Cruz, Christian Vázquez, Flor Payan, Andrés Delgado and Estela Calderón. An Imagen Televisión original production in collaboration with Estudios TeleMéxico, El Capo stars Mauricio Islas with Irán Castillo, Marisol del Olmo, Sara Maldonado, Miguel Rodarte, Plutarco Haza and Julio Bracho. The series was shot on location in Mexico City and surrounding areas, using the highest quality digital cinematography. El Capo tells the story of José Vicente Solís Armenta, an outlaw on the run from the law who faces life in prison for his crimes. After being betrayed by an informant, he has the authorities hot on his trail, determined to take him dead or alive. All the while trying to evade capture, José Vicente has to contend with the wife he deceived, a murderous ex-lover, and an amorous female bodyguard. At some point during his war against the authorities, however, José Vicente discovers that the real struggle is not against others but against himself, and that death may be his only path to redemption. 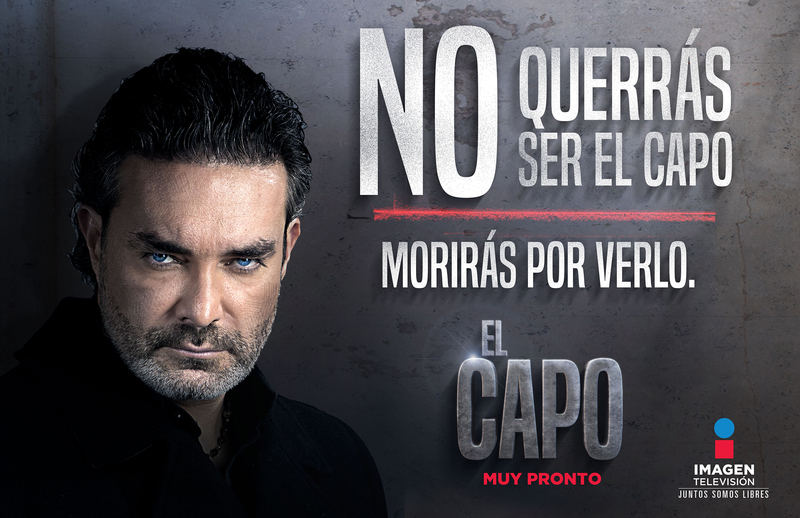 You will not want to be El Capo, but you will die to see it. 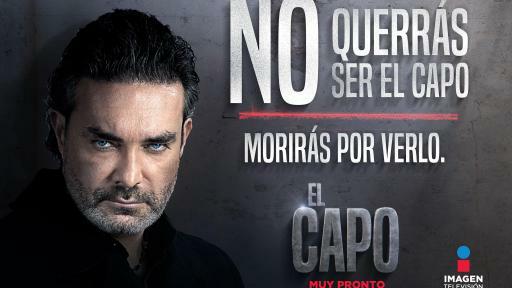 In addition to its lead cast, El Capo features performances by Gerardo Taracena, Roberto Mateos, Alejandro de la Madrid, Claudio Lafarga, Daniela Perea, Isabel Burr, Pablo Cruz, Mauricio Rousselon and Mimi Morales. 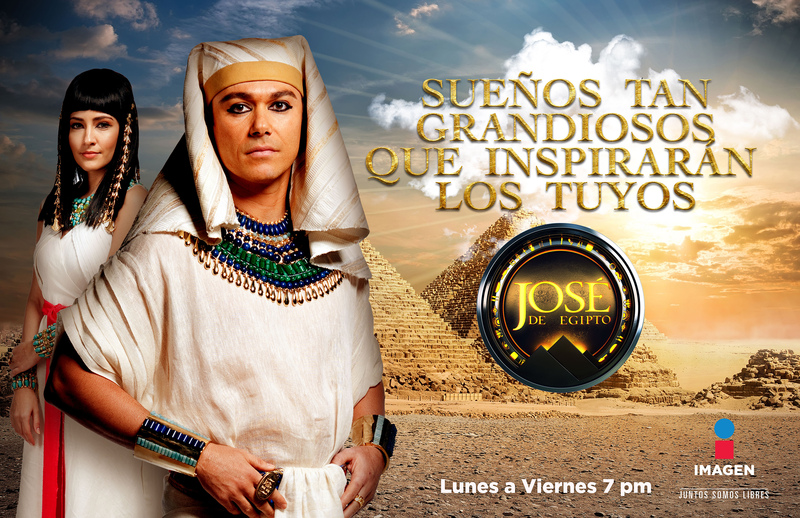 One of the most successful television biblical series, José de Egipto is the timeless story of Joseph, son of Jacob. As a boy, he has dreams of greatness but suffers an unexpected betrayal when his own brothers sell him into slavery. 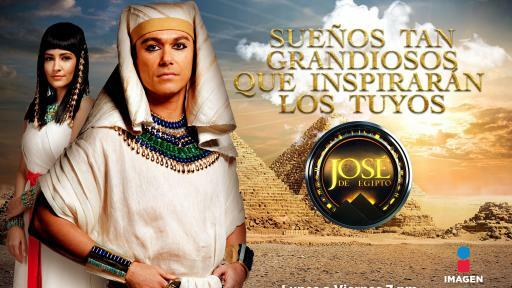 But God grants Joseph the ability to interpret dreams, a gift that ultimately leads him to become governor of Egypt. Brought face to face again with his betrayers, he must decide whether to punish his brothers or forgive them. This inspiring production shows that even when you touch bottom, your dreams can still come true if you have faith. Lady enjoys fame and stardom on the red carpets at the world’s top film festivals. But fairy tales don’t last forever and, barely 20 years old, she is drawn into a complicated web of circumstances that will change her life in drastic ways once more. 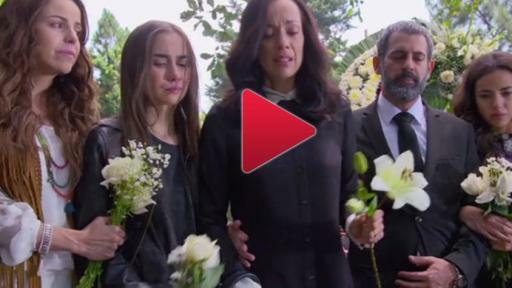 From the creators of Avenida Brasil comes Reglas del Juego, nominated for two International Emmy Awards for best telenovela and best actor (Alexandre Neto). This production is the powerful story of a man who hides behind a heroic reputation for rehabilitating ex-convicts to destroy everyone around him. From the state-of-the-art Imagen News Center, the most comprehensive multimedia team of journalists will generate news content 24 hours a day on multiple platforms, including three daily newscasts. 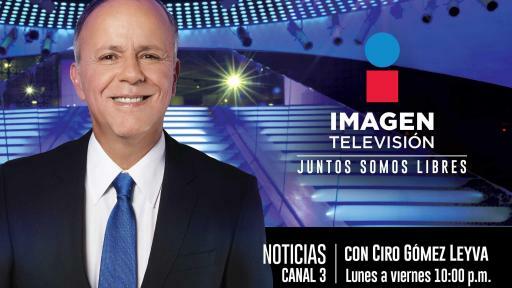 Imagen Televisión invites you to wake up every morning to friendly faces with a newscast that helps you understand the day’s top stories from a range of outlets, including social media. 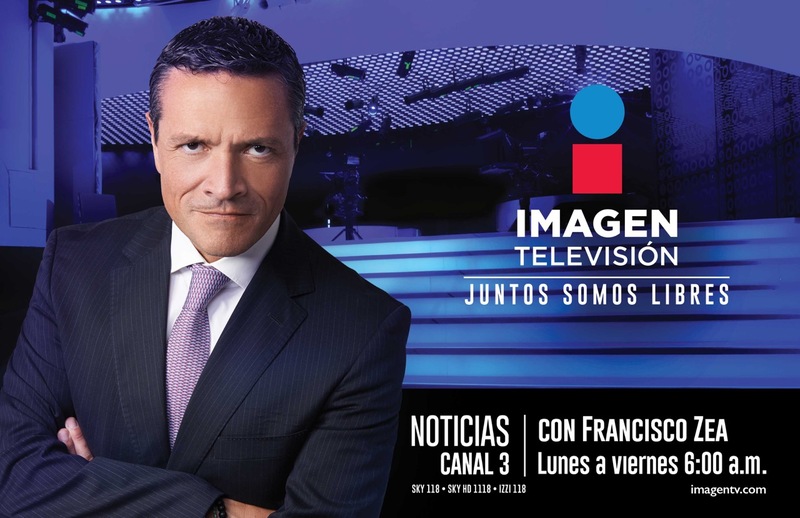 Anchor Francisco Zea is committed to audience participation and will welcome constant interaction with the coverage team, which also features Gerardo Liceaga, Sofía Rivera Torres, Capitán Albores, Jimena Duarte and Enrique Villanueva. Yuriria Sierra anchors this dynamic, fresh and innovative news format that will appeal to viewers of all generations who make viral the stories they find moving, funny or informative. 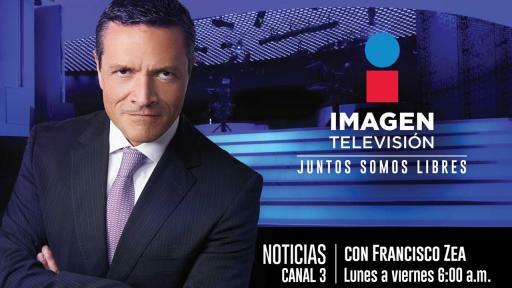 Pablo Carrillo, Rodrigo Pacheco, Hiram Hurtado, Carolina Botia and Óscar Madrazo round out a team that will engage viewers in a conversation about the news every weekday afternoon. 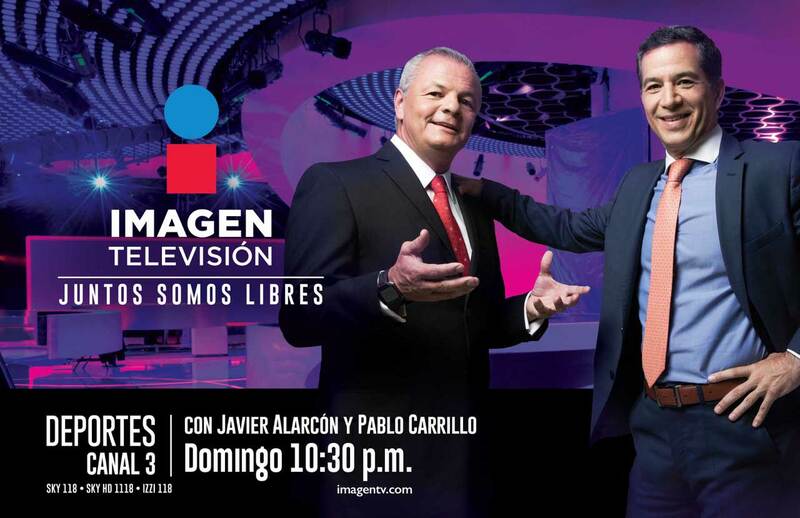 Imagen Noticias evening edition is a program for viewers who have seen the day’s top stories but want to go a step further and evaluate, question and debate their implications. This is a newscast for people who like to delve deeper into the news, with a focus on the most controversial issues. With special collaboration from David Páramo, Paola Virrueta and Javier Alarcón. 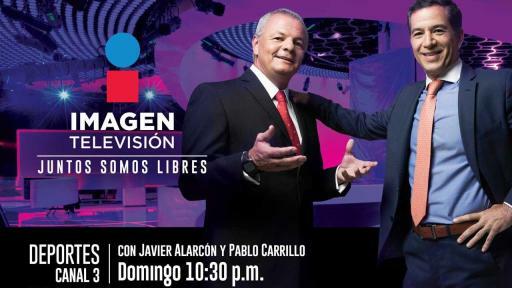 Hosted by Eduardo Videgaray and José Ramón Sancristóbal “El Estaca,” this entertaining news program takes a humorous look at the headlines, helping viewers end the day well informed and on a happy note, or disturbed. 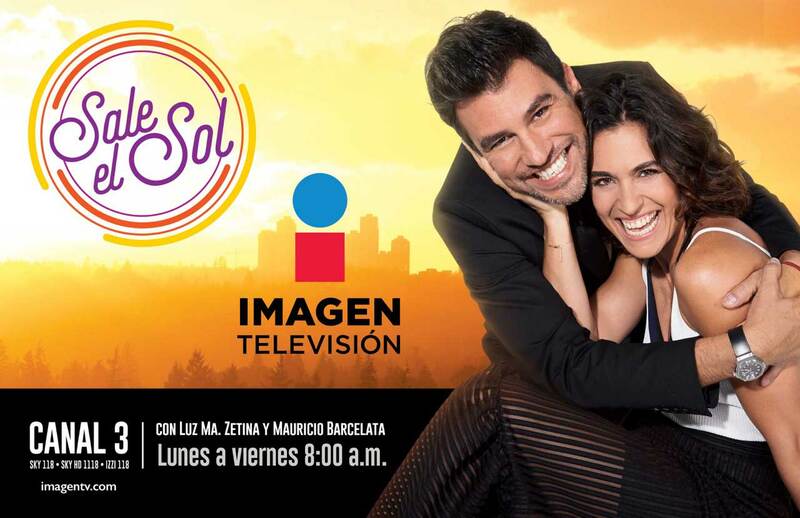 Live from the new Imagen Televisión studios and hosted by Luz María Zetina, Mauricio Barcelata, Carlos Arenas and Paulina Mercado, Sale el Sol is a new morning show with a fun, informal, dynamic, inclusive and optimistic outlook that promises to transform mornings for Mexican audiences by focusing on contemporary issues that inspire, inform and promote a positive attitude. A number of experts will make regular appearances on the show: Diana Motta (lifestyle); Gustavo Adolfo Infante and Ana María Alvarado (show business and entertainment); “Pepe” Bandera and Julie Salomón (medicine and health); Jorge Boyoli (fitness); Natalia Coppola (astrology); Daniel Frydman (food and cooking); Juan Jerónimo “Jay-Jay” González Fernández (yoga); and Meteora Fontana (human interest stories). 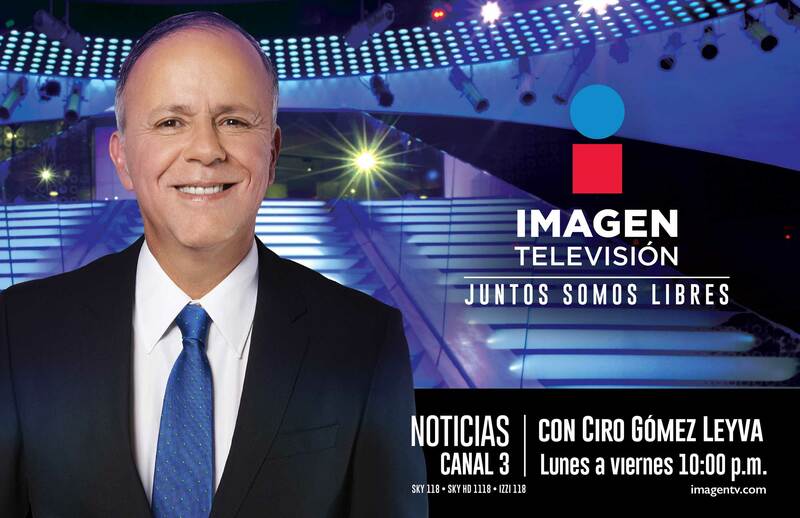 In this original production by Litopos for Imagen Televisión, participants will have one minute to tell their stories and convince one of three experts that they deserve a makeover. Without surgical intervention but with plenty of motivation, self-esteem and, especially, style, the three experts - Glenda Reyna, Max Pizzi and Álvaro Nates – will guide the selected participants through a transformation whose ultimate goal is to help them feel good about themselves. 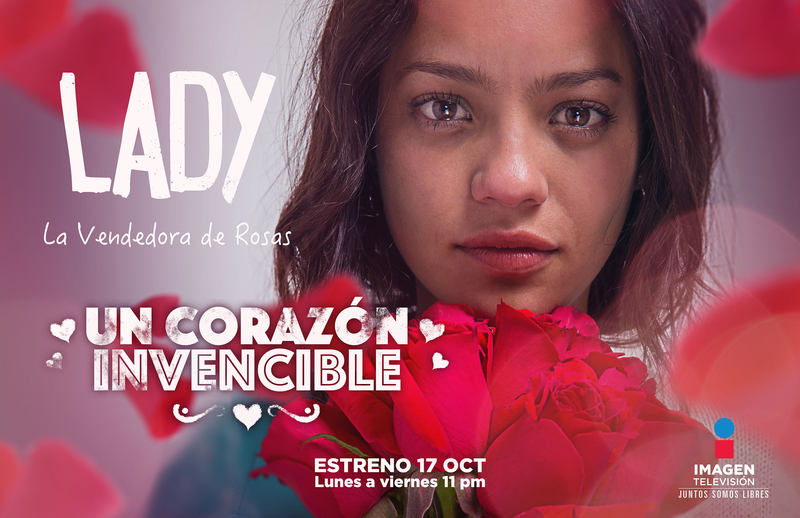 Hosted by Rossana Nájera, Cámbiame MX will bring laughter and tears of emotion to weekday afternoons. Journalist Gustavo Adolfo Infante hosts this interview show, profiling leading celebrities as only he knows how: getting them to take off the masks they have worn throughout their careers and describe the moment that changed their lives forever. Imagen Televisión will air Los Gallos de Querétaro and Jaguares de Chiapas home games, every Saturday at 5PM. 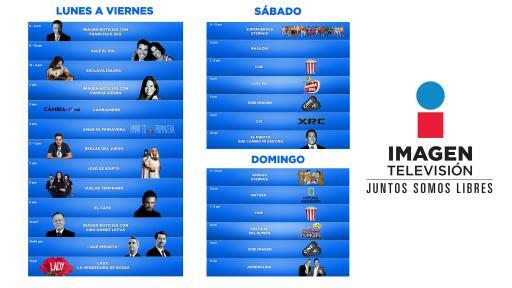 Gallos de Querétaro versus América will broadcast at a special time during premiere week: Saturday, October 22 at 7 PM. Hosted by Javier Alarcón and Pablo Carrillo, Adrenalina is a sports magazine that summarizes the week in sports with passionate, revealing and conclusive analysis. The panel of analysts features Héctor Miguel Zelada, the best goalkeeper in the history of Club América and a member of the Argentina team that won the 1986 FIFA World Cup in Mexico; Ramón Ramírez, a former member of Mexico’s World Cup team and a Chivas de Guadalajara icon and Bonifacio Núñez, the most controversial but approachable referee in Mexican soccer. Regular participants will also include ex-Querétaro head coach Carlos de los Cobos, formerly of the Salvadoran national team and Club América and the head coach of the Mexican team that won the FIFA U-17 World Championship Peru 2005, Jesús "Chucho" Ramírez. Mobile apps, available for download on Android and iOS.